A couple of weeks ago, the day before I was about to give a talk at the Wikimedia conference, I had a small set-back. After changing from electronics platform earlier on, my RepRap machine is not as neatly arranged as it has been. 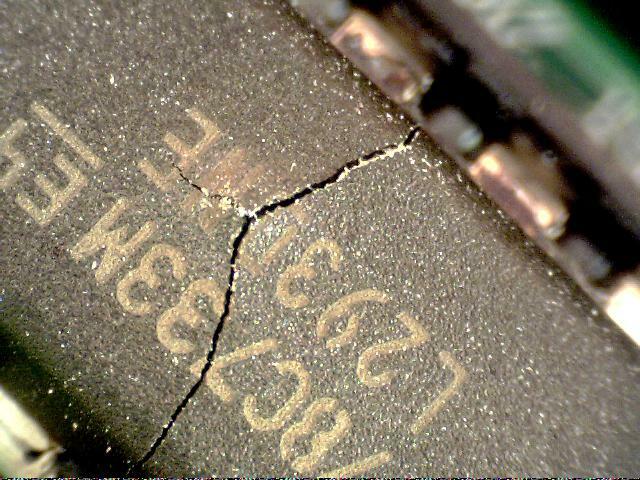 There are several places where a wire could touch a circuit board and cause a short circuit (not good). I connected the motor of the extruder and heard something tick and fall. It was the debris of the L293 chip. 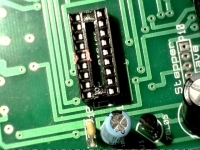 This chip provides (or provided) power to the motor. It had a fracture completely across the top face. The broken H-Bridge. This chip drives the motor for the extruder. It supplies the actual power and can power it in two directions. I knew not too worry too much, reordering such a chip costs just 3 euros, and I wanted to order some other things anyway. But my wikipedia talk was just one day away, so it would not arrive in time. Luckily I could use a board of the old design together with the new electronics. Actually, you could use anything with an H-Bridge quite easily. This means that you have many backup options or alternatives paths towards RepRap. Also, you could use one of the available ports on the PWM board, but you can then only move the filament down the extruder, and not up (to stop the flow of plastic more quickly). I had an H-bridge that came with a lego mindstorms kit, but I only had one of those and didn’t want to use that. 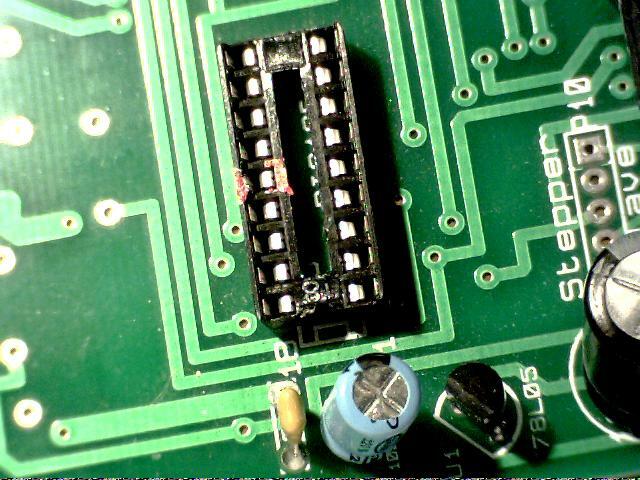 This is the older UCB (universal controller board). Note: the socket is up side down. I connected the pins to the Arduino (enable wasn’t even needed), I did need to connect the ground of the UCB to the ground of the arduino. I did need to make minor changes to the Arduino firmware, so that it didn’t generate a PWM the enable, but the FWD or BACKWARDS pins. Normally there is a direction pin that is high or low (for backwards and forward direction). This is a pretty straightforward change. After that I had a running extruder again! Today I replaced this system again, but decided to document it before removing it so others can use this information. If you have any more question about this, just ask! B.t.w. 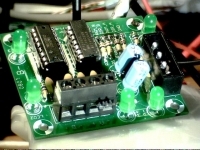 you don’t need the DC motor driver if you still have Universal Controller boards or any other H-bridge. Previous story Building RepRaps in Utrecht, NL!